This beautiful girl is Delilah - she is about 17 months old and unfortunately she has already had a litter of pups. She is out in a foster home right now and we still have to complete her vetting but will be ready for a home in a week or so. She seems to do fine with male dogs (have not tried female dogs) but she is pretty bossy for her age. She also bonds VERY quickly to her human so that is something that needs to be taken into consideration when adopting her. Her foster mom is one of the volunteers here at the shelter and she just loves Holly. Once she has been with Holly for a few days she will give us an update on her personality and all the good stuff like housebreaking, how she is with cats and small kids. 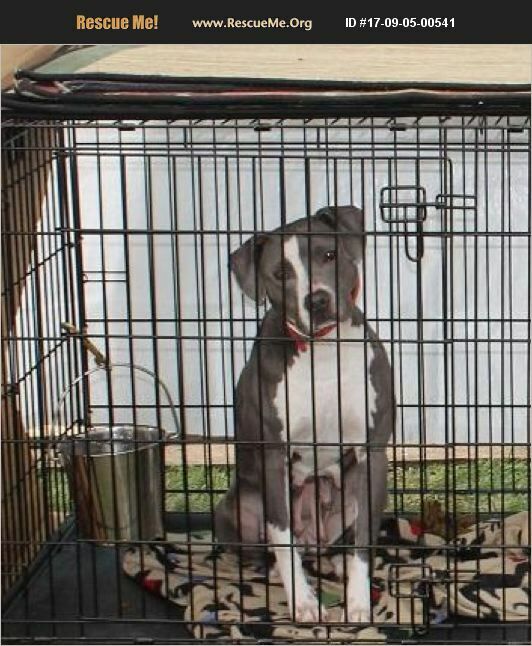 She is a Blue Nose Pit so make sure if you are interested in her you don't live in an area with any bans.